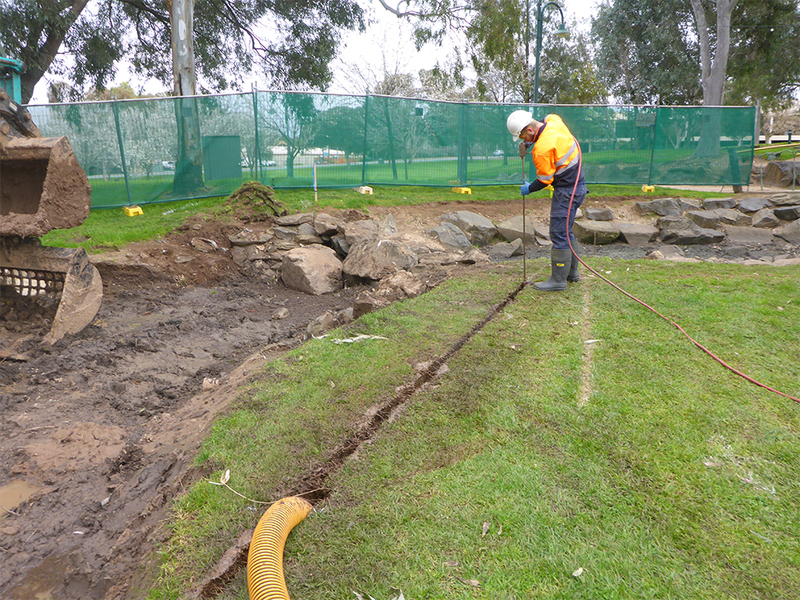 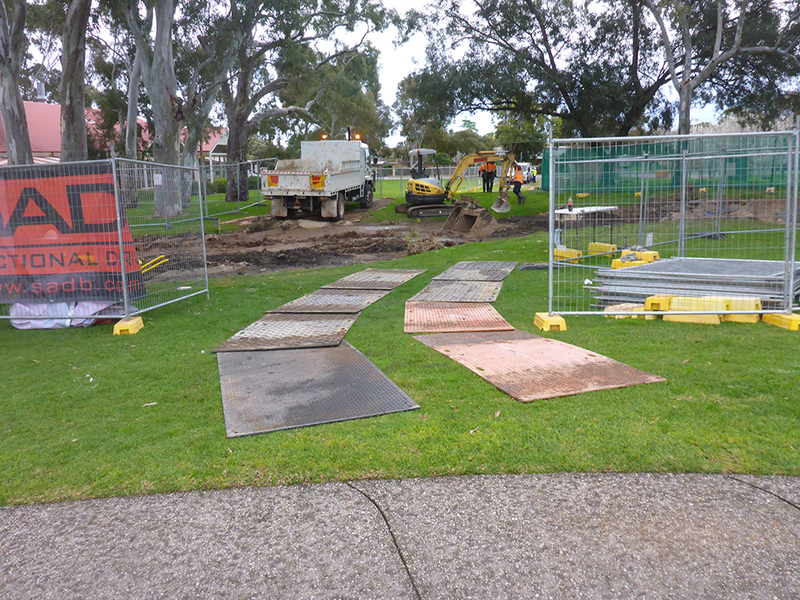 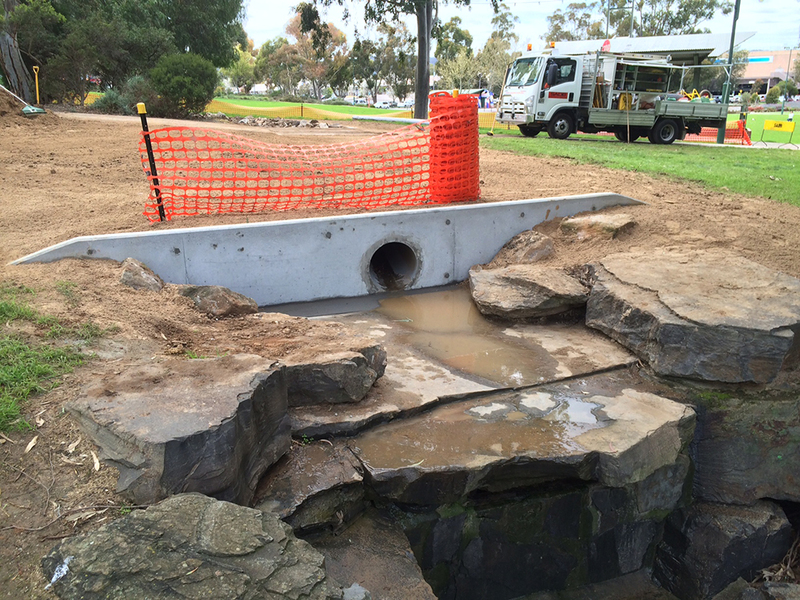 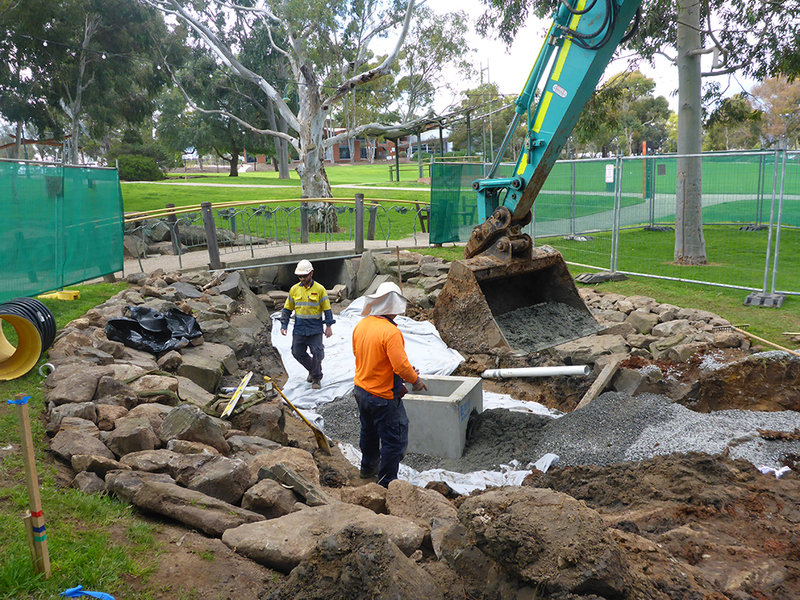 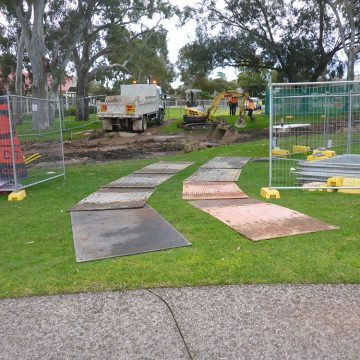 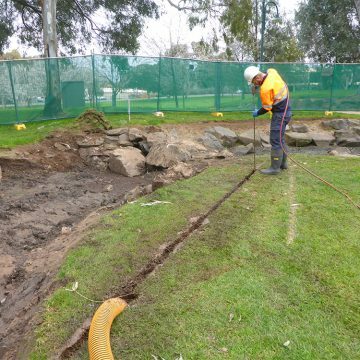 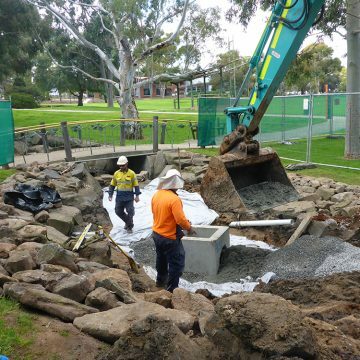 Work undertaken within the City of Tea Tree Gully civic park area. 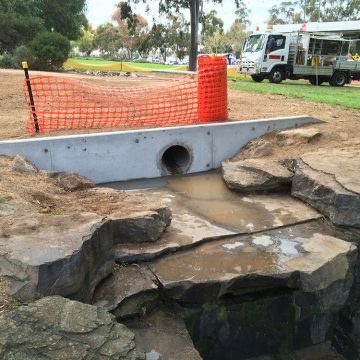 This was a highly sensitive environmental project to divert existing stormwater, creek beds and remediating existing ponds to park reserve areas. 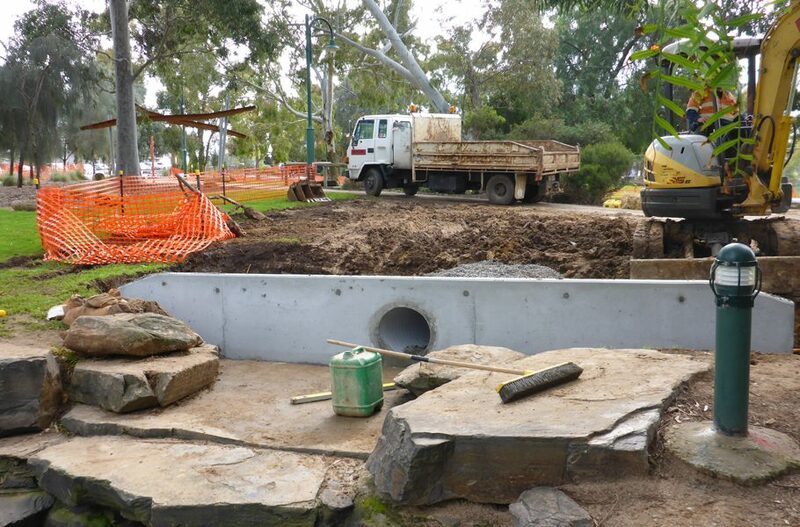 All works undertaken within a tree drip zones, involving use of NDE to reconfigure the existing stormwater and creek infrastructure. 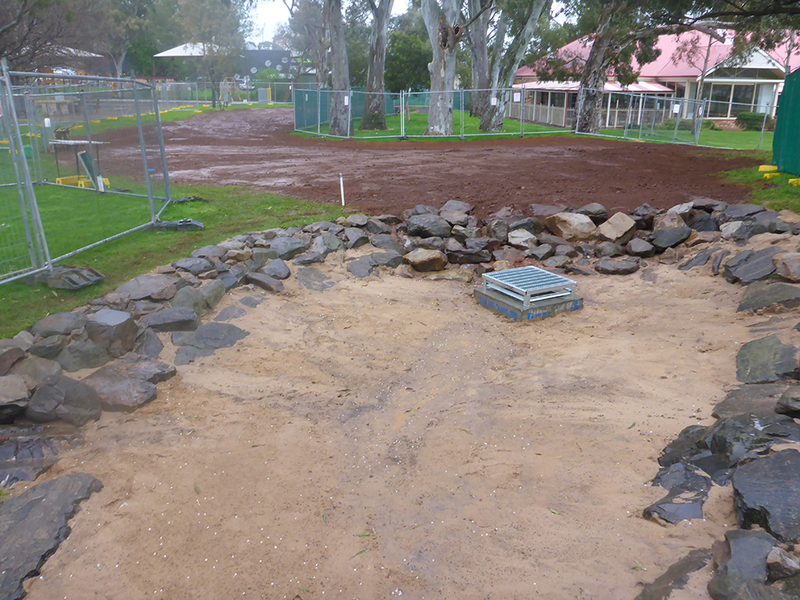 Other works included backfill of existing ponds, installation of new stormwater system, catchment pits, head walls and bio-filtration pits. 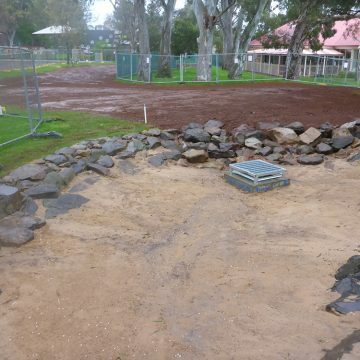 Irrigation, landscaping and revegetation works were also completed.